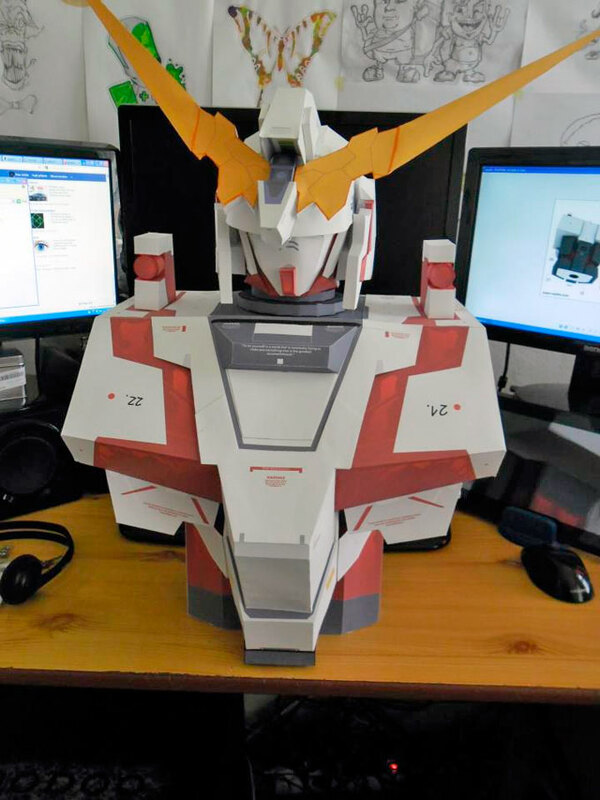 Unicorn Gundam Torso Paper Model - 5X Bigger	. 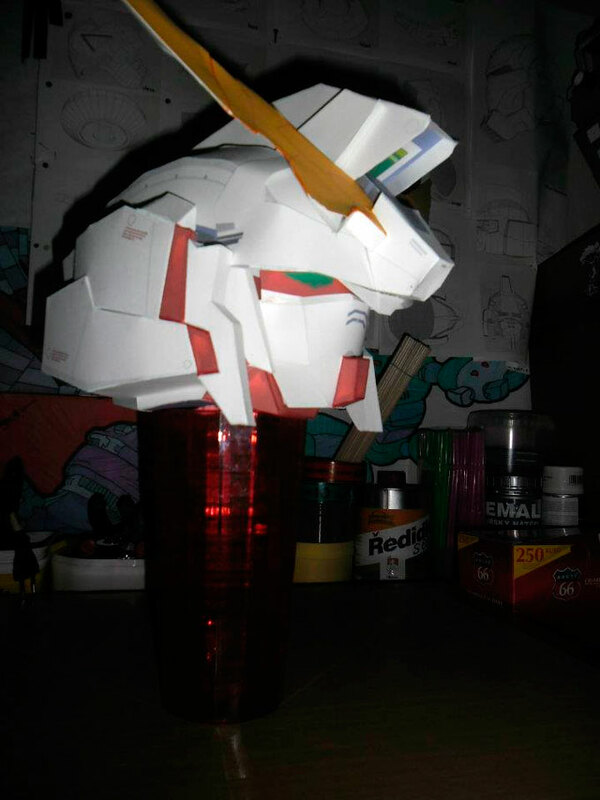 Unicorn Gundam torso part 5 times bigger is already released. I already add the download link in the original Unicorn Gundam page. This modified template was resized by Nada Papercrafter. You must be crazy enough to try this 69 pages of templates. Even though it is resized by 5 times, but it still use A4 size paper. Torso model on the photo was built by Petr Ježek. In my calculation this model will stand tall about 2 meters (7 feet), so it might be wise to strengthen the parts with corrugated paper board. Also thanks to Vivien for helping me in converting some files to make this post happened.